Apples are the fruit of the apple tree, which is a species in the rose family which blooms perennially. 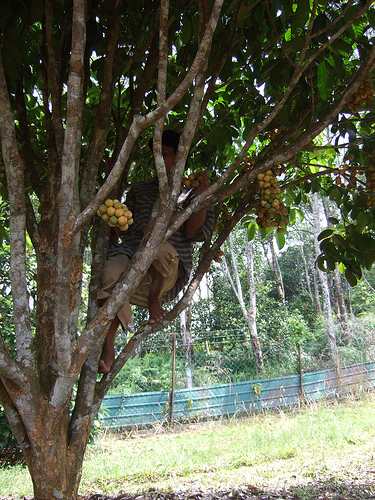 It is one of the most widely grown fruit trees which originated in Western Asia. Its wild ancestor is still found here, however there are 7,500 known cultivars of apples today. The apple tree is small and deciduous, with a height of between 3 to 12 metres tall. It has a broad and dense crown. Its leaves are between 5-12 cm long and 3-6 wide. It blossoms in the spring and has white floors with a pink tint that gradually fades away. The apple (fruit) matures in autumn, and is usually 5 to 9 cm in diameter. The centre of the apple has 5 carpels that are arranged in a 5 point star. Each carpel contains between 1 to 3 seeds. 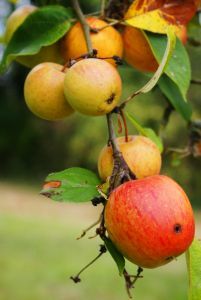 The original, wild ancestor of the apple tree is the Malus sieversii. This grows in the mountains of Central Asia, in Kyrgyzstan, Kazakhstan, Tajikistan, and Xinjian in China. However, the centre of diversity of the Malus (genus) is in eastern Turkey. This is where the apple tree was first cultivaed, and its fruits have improved over thousands of years. Alexander the Great found dwarfed apples in Asia Minor in 300 BC and brought it back to Macedonia. Winter apples which are picked in the late autumn are stored just above freezing level. These have been an important food source in both Asia, Europe, Argentina, and the USA. Apples play an integral part to all sorts of ancient myths and legends. It was featured in Norse mythology and Greek mythology. In Greek mythology, the apple has always been a forbidden fruit. In addition, there is a popular belief that Eve coaxed Adam with an apple in the Book of Genesis. However this may be because Renaissance painters added Greek mythology into this biblical scene. As mentioned above, there are more than 7,500 known apple cultivars. 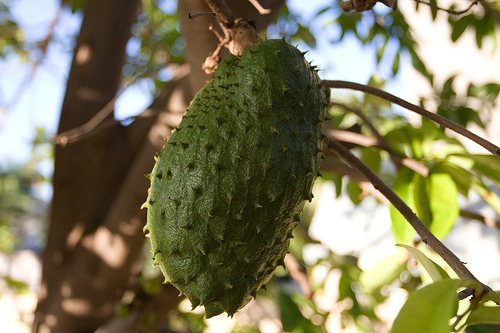 These cultivars are available for both sub-tropical and temperate climates. The largest collection of apple cultivars can be found in the National Fruit Collection in England, where they have collected over 2,100 apple cultivars. Most apple cultivars are bred to eat fresh, although some are created specifically for cooking or to make apple cider. 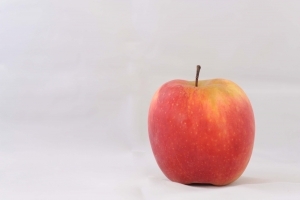 Commercially popular apples are crisp yet soft. However, other desired qualities include absence of russeting, ease of shipping, lengthy storage ability, high yields, apple shape, resistance to disease, and flavour. Modern day apples are sweeter than older cultivars, although tart apples do have a strong following. 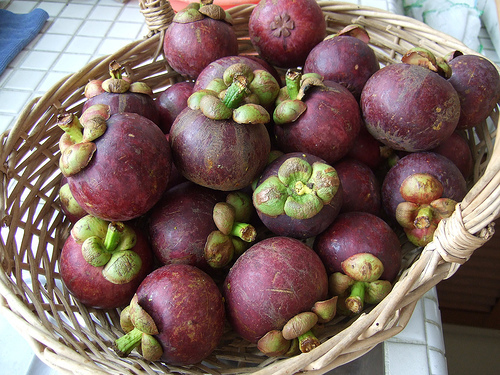 Extremely sweet apples that do not have an acidic flavour are popular in India and other parts of Asia. Apples are stored commercially for several months in a controlled-atmosphere chamber. This is done to delay ethylene-induced ripening. These chambers have higher concentrations of carbon dioxide, but high air filtration in order to prevent ethylene to rise to a high amount as well as to prevent the apple from ripening too quickly.